Palmako Irene 13.9m²: The Palmako Irene 13.9m/sq is a log cabin with a twist! 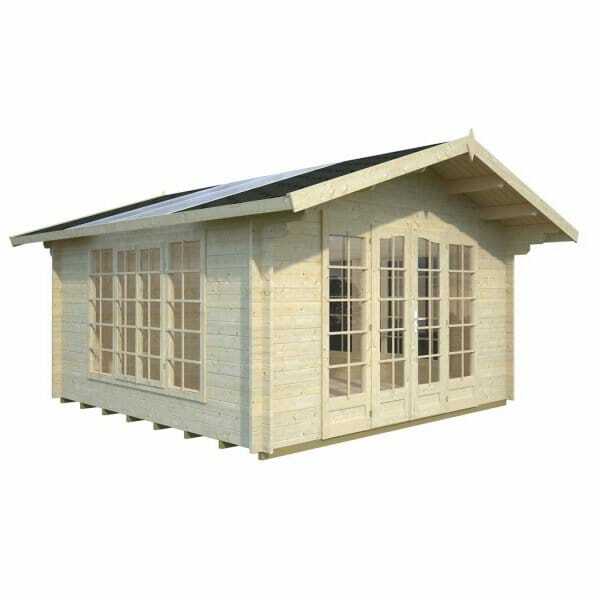 Featuring a large, double sided Double Skinned Polycarbonate glazed roof section to allow in lots of light both in winter and summer this log cabin is novel and slightly different! Featuring Double Doors with a column window at either side (i.e. 2 x Column Windows) and 2 x large Fixed side window - all glazed using proper glass i.e. 4mm glass along with the glazed roof panels this is simply a beautiful log cabin from Simply Log Cabins!